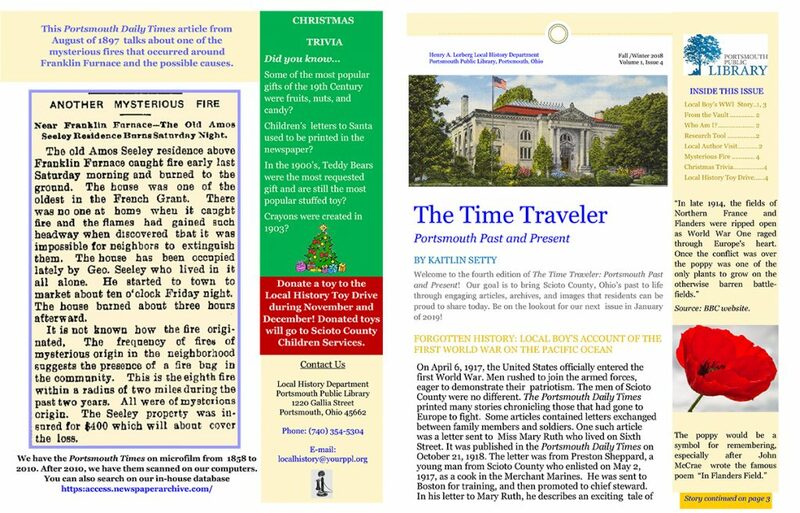 Welcome to the fourth edition of The Time Traveler: Portsmouth Past and Present! Our goal is to bring Scioto County, Ohio’s past to life through engaging articles, archives, and images that residents can be proud to share today. Be on the lookout for our next issue in January of 2019!